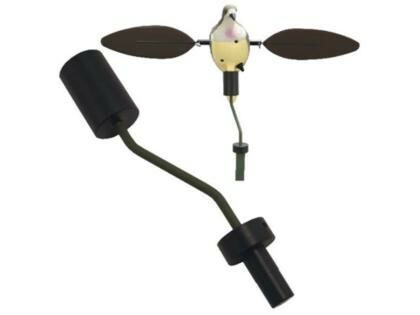 The Mojo Live Action Kit is the ultimate accessory to make your motion wing decoy come alive. This accessory attaches to the top of your Mojo stake and allows your decoy to rotate and spin giving it an extremely lifelike action. This device uses a ball bearing mechanism so it will stand up to the tough conditions that all serious bird hunters endure. This model is specifically designed for the Mojo Dove decoy and is not compatible with any other models.